In case of an unforeseen accident or negative event, having someone there for you to recover your vehicle or heavy equipment and any salvageable parts is a relief. 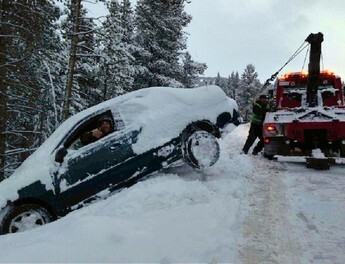 This is where we can help you with as our towing professionals can come at a quick notice to assist you with towing your vehicle to a desirable location. Whether you need a personal vehicle, tractor, semi, heavy duty equipment or recreational vehicle towed, we are able to handle these needs and assist you as quickly as possible. 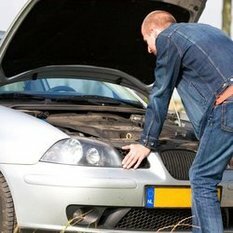 Any additional services, such as tire changes, fuel delivery, mechanical, locksmith or jumpstart are available upon request for your convenience. Our accident recovery service professionals and our vehicles are licensed, bonded and insured for your safety and security. We have years of service experience, and our professionals are also able to come to your aid 24 hours a day 7 days a week in any type of weather and at any kind of location. 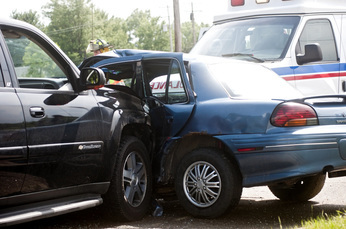 We have extensive knowledge and experience serving our customers in a variety of accident situations, so you can be sure that your service professional will come with the resources and ability to serve you quickly and reliably as soon as possible. Our services are also priced competitively, so that you know you will be receiving excellent services at an affordable price for your peace of mind. No matter what situation you have found yourself in, our professionals will help you from beginning to end with absolute excellence behind them in the work they do for you. Wherever you need your vehicle or equipment towed to, no matter the distance, you can rely on us to get it there safely and securely. We also understand that accident situations come unexpectedly, so we are able to provide services at a moment’s notice wherever you are to help transport your resources quickly and efficiently with ease.